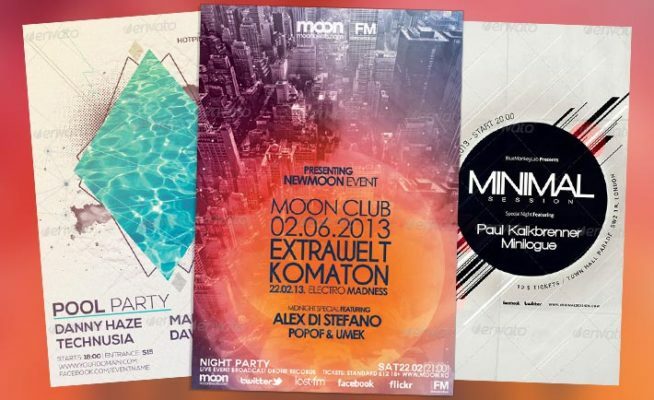 Minimal Futuristic Event Flyer is great for any kind of music event or nightclub event, events like electro, dubstep, drum and bass, dance, techno would be a good example, you can use it too if you want to apply a minimalist/abstract style. Minimalism Summer Pool Party Flyer Template is very modern psd flyer that will give the perfect promotion for your upcoming Summer event or nightclub party! All elements are in separate layers and text is editable! Promote any kind of music event. Minimal, Minimal Techno, Trance, Electro, Techno, Disco, Concert, Festival, Party or weekly event in a music club and other kind of special evenings. Help File included. 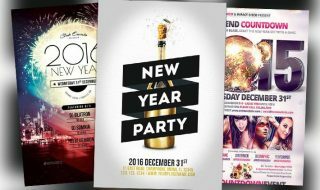 Modern, minimal, multicolor flyer, poster design with vector geometric background, for your event, party. a minimal style flyer, perfect for any event. Minimal Futuristic Event Flyer vol2 is great for any kind of music event or nightclub event, events like electro, dubstep, drum and bass, techno, house would be a good example, you can use it too if you want to apply a futuristic / abstract style. 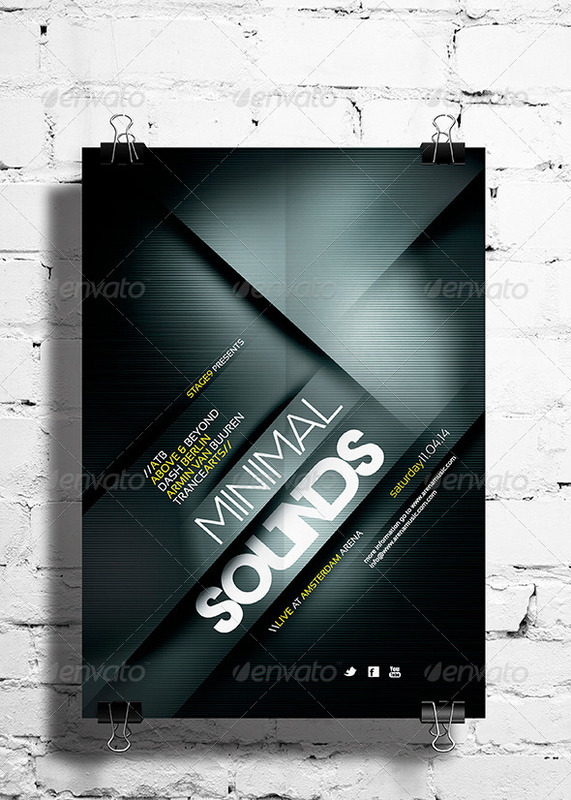 Minimal Abstract Event Flyer is great for any kind of music event or nightclub event, events like electro, dubstep would be a good example, you can use it too if you want to apply a minimalist/abstract style. Size: 8.5×11” (with 0.25” bleed). 300DPI, CMYK color, print ready. A Amazing flyer made to any purpose such a concert, festival, rave, party, club event or any event you can think of, and it’s absolutely great for your event. You can easily edit the text. 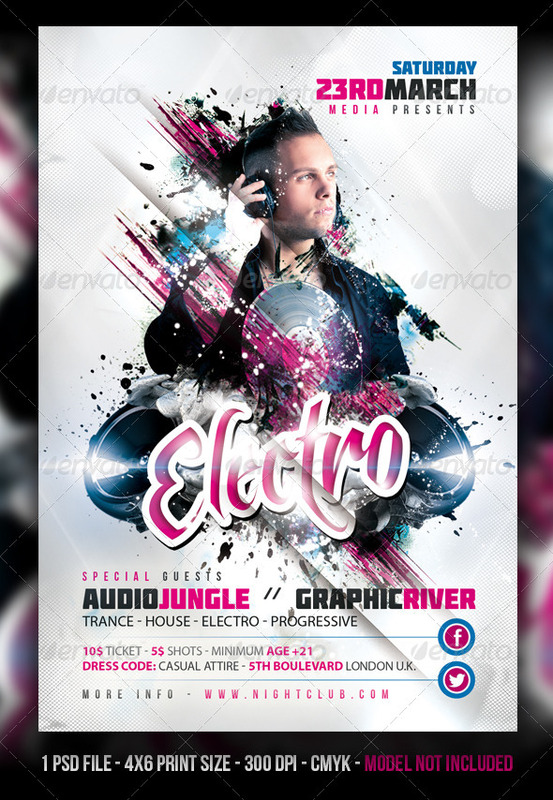 An Alternative Futuristic Party Flyer perfect for Electro, Trap, Dubstep or Minimal House party. Easy editable and you have unlimited color options with an easy process. – Organized layers, text easy editable. 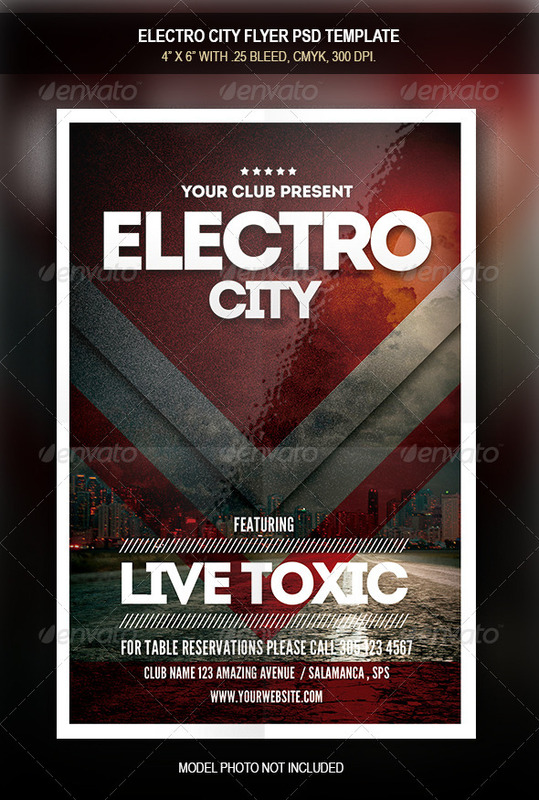 Futuristic Flyer Vol 3 – This flyer can be used to promote an electronic music event or a one night stand club party. It can be used for a lot of music genres such as Techno Music, Drum and Bass, Indie Rock, Techno Minimal Electro and others. 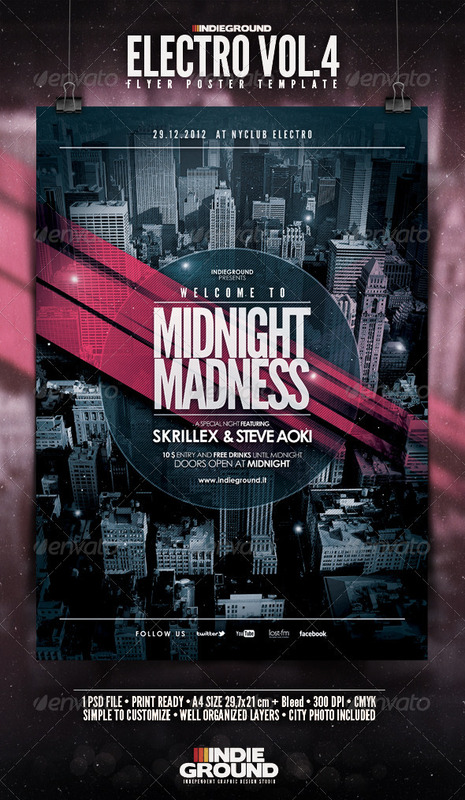 Futuristic Flyer Vol.1 – This flyer can be used to promote an electronic music event or a one night stand club party. It can be used for a lot of music genres such as Techno Music, Drum and Bass, Indie Rock, Techno Minimal Electro and others. 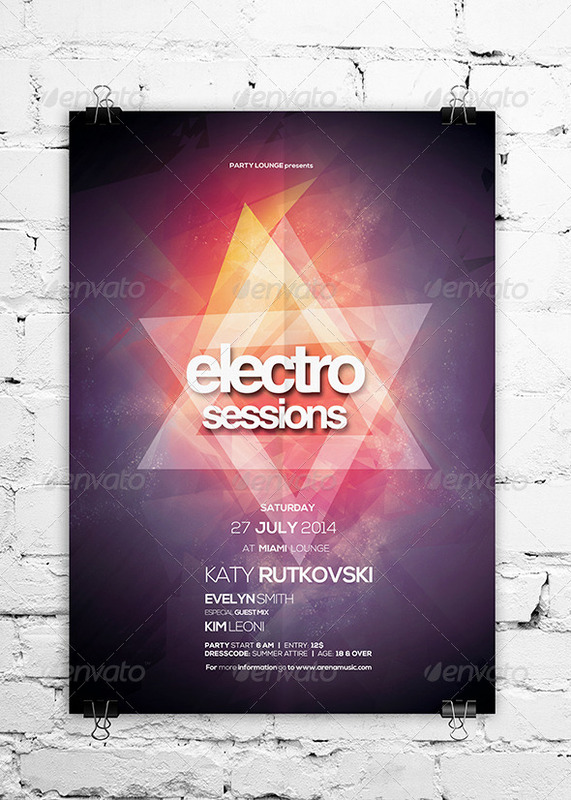 Dark Neon Flyer – This flyer can be used to promote an electronic music event or a one night stand club party. It can be used for a lot of music genres such as Techno Music, Drum and Bass, Indie Rock, Techno Minimal Electro and others. 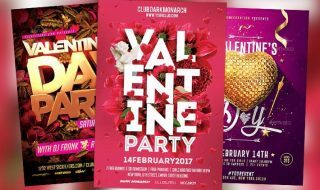 Futuristic Flyer Vol 4 – This flyer can be used to promote an electronic music event or a one night stand club summer party. It can be used for a lot of music genres such as Techno Music, Drum and Bass, Dubstep, Techno Minimal Electro and others due to it’s minimalist and colorful design. Please note: The model images are not included. only one font was use in this flyer . Visit also Mesmeriseme and Monsterunderbed ! – You can modify everything very easy and quick. Hope you enjoy this Unique Electro Night Beats Party Flyer ! Enjoyed this collection? 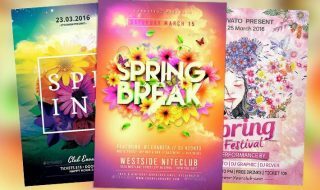 What are your favorite flyer templates? 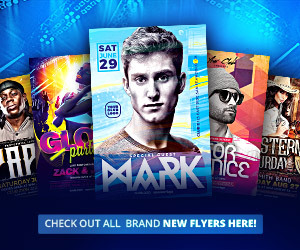 Stay tuned for more amazing flyer templates and check out our Flyersonar free flyer templates!